In-house cloud expertise falling short? While cloud technology is undoubtedly the core component of any modern IT strategy, not every organization has specialists in-house who can make sense of and manage the cloud’s complex infrastructure requirements. 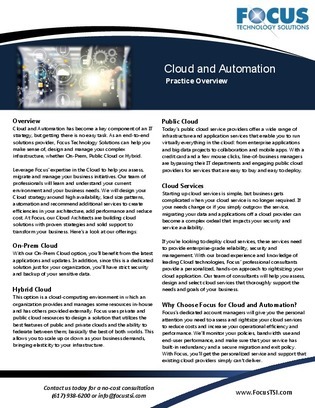 In this quick read, flip through potential use cases for using cloud service experts to help your enterprise navigate the ins-and-outs of cloud services for public, on-prem, and hybrid cloud architectures – and maximize any cloud investments in the process.